‘Gulfprince’ | Florida Foundation Seed Producers, Inc. Description: ‘Gulfprince’ was jointly released by the University of Florida, University of Georgia, and USDA-ARS in 2002. Trees of ‘Gulfprince’ are large and vigorous with a spreading growth habit. 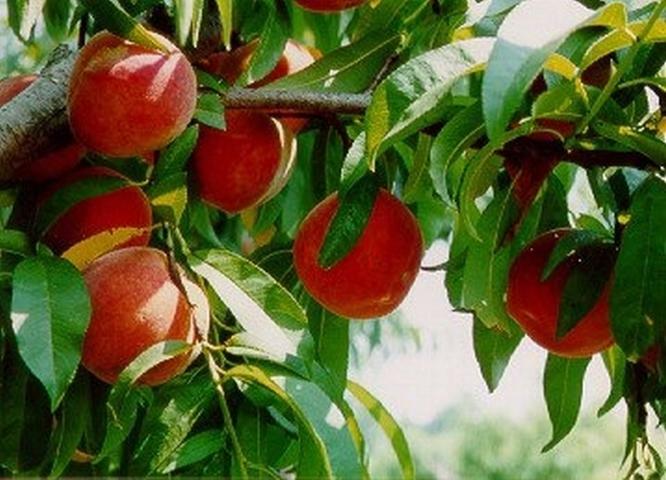 ‘Gulfprince’ fruit are uniform and symmetrical and develop 45–55% solid red skin. Fruit have non-melting, yellow flesh with clingstone pits. ‘Gulfprince’ fruit has exhibited some slight browning due to oxidation on soft, ripe fruit. The FDP is 110 days.